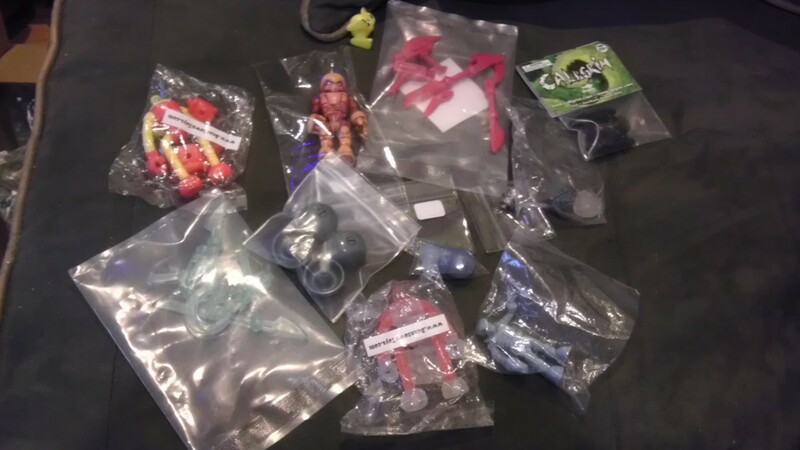 Hey there, everyone, and welcome to the first ever Secret Santa here at the Glyos Connection! 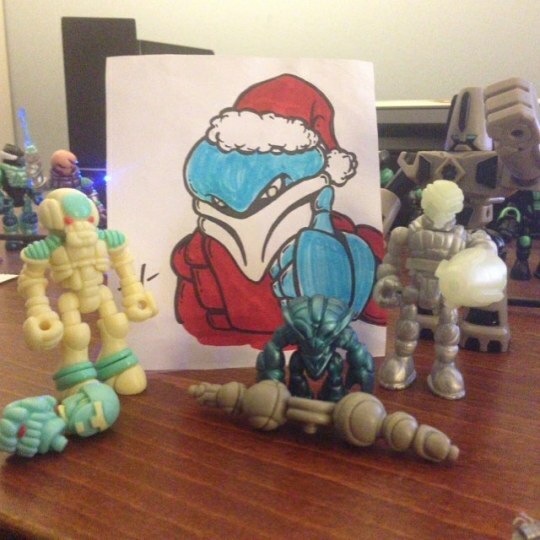 If you're unfamiliar, this was an annual (and sometimes more frequent) event at our previous digs, where members of the community would submit their names, receive the name of a boardie in return, and send some holiday cheer in the form of Glyos gifts. We got a late start this year, so let's keep it simple and play off of some old rules! Anyone who enters is asked to try and have their gifts mailed out by December 28th, if possible. This does mean that there's a chance that folks won't receive their gifts by a certain holiday of some renown, but there's nothing wrong with a little surprise after the fact. To keep things simple for everyone, all I'll ask is that you try to keep the cost of your gift down to $20 or so. You can give customs, but keep in mind that this will be open to folks who want to give parts for an Accessory Set build or an older Traveler, too. Basically, give what you feel comfortable giving and try to be fair to your recipient, too! I'll also be keeping track of things, so please let me know if you have any issues once we get to the gift swapping part itself. At the old place, we never really had more than one or two problems in the five years doing these swaps, and I hope that we can have an even better record here! 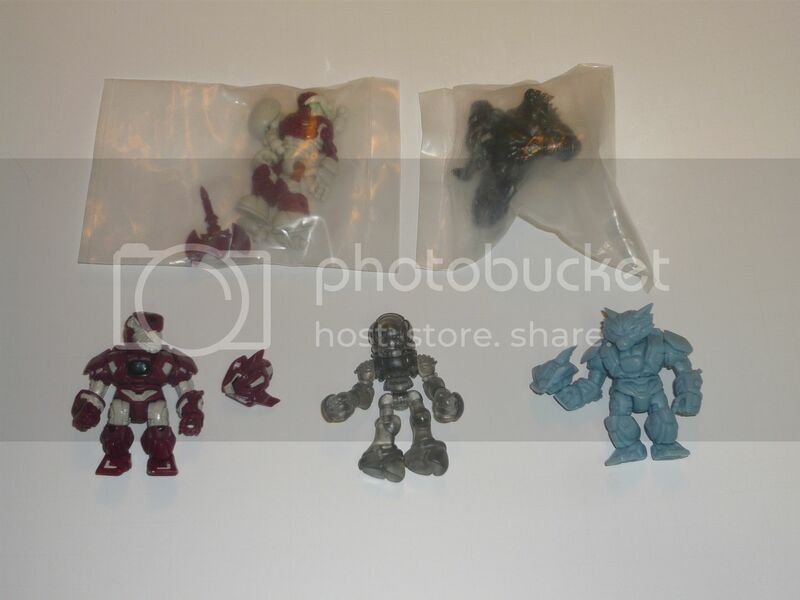 Re: The Glyos Connection's First Secret Santa! I tweaked the deadlines because, hey, we're getting a new drop on December 15th, and someone might want to use it for getting gifts! I've also tweaked the mail-by date accordingly, and even though it might mean that gifts might not arrive by the 25th, it might make it easier for some to get something together. We still have time for more folks to sign up, so don't be shy! All participants should now have a PM with their recipient's information. Remember to please try and have your gifts mailed out by December 28th, if not sooner! Please feel free to use this thread to discuss, share, and otherwise hype the gifts you'll be giving! Crap! how did i miss this thread.. i'll have to catch it next year. Have Fun everyone! Glad it got there safely and in time. Happy Holidays. Got my secret santa swag from Rangerman! And holy cow he went out of his way! Check it out! Gear's Edge Pheyden, two Bean Bots, two sets of Weaponeers weapons, a metal Noboto head, wheels, and various other goodies! Glad you like! Those really came out nice too! Got my goodies and none were figures I already had. Thanks Secret Santa. andiufc wrote: Got my goodies and none were figures I already had. Thanks Secret Santa. Got a very special package today from Ken Goff. My Ankram obsession continues . . . Thank you so much! I'm hoping it's a combination of holiday shopping nightmares and people being busy. I put tracking on my secret santa and I know it arrived at its destination, but I haven't gotten mine in yet at all. I need to check the tracking on my SS gift and see if it's been delivered. I haven't received anything as of yet, so I'm assuming my SS shipped out last minute like I did. Received my secret santa package today!! Not sure how it happened but the sender did not pay enough postage and i had to pay to receive the package!!!???? grune wrote: Received my secret santa package today!! Not sure how it happened but the sender did not pay enough postage and i had to pay to receive the package!!!???? Eh??? i shipped it using their electronic kiosk so maybe it didn't charge me the right amount?? either way i'll pm you to get that sorted out. I'd like to give an extra big thanks to Kranix for everything he does for everyone! dropKAG wrote: I'd like to give an extra big thanks to Kranix for everything he does for everyone! Kranix has been the man around the forums since before I started collecting and he's a great guy on top of that! I feel kranix is the glyos ambassador!!! grune wrote: I feel kranix is the glyos ambassador!!! Ambassador Kranix has a nice ring to it. Maybe something for a future Onell drop. Just saying. Lazzy Lizard wrote: I 3rd that notion! jl1828 wrote: Ambassador Kranix has a nice ring to it. Maybe something for a future Onell drop. Just saying. Just a quick thing: if you have yet to receive your Secret Santa gift, please PM me right away! Similarly, if you haven't sent yours out yet, also PM me right away! I'm going to try and keep track from this point forward, just in case there are any issues. Thanks! This is actually my first experience with Weaponeers, so that's super awesome. Also, I love this card! Thanks so much, Venenor! And Kranix, thanks for putting this all together for us!